The team at Saxbys can create a look for you for any occasion, whether it be for a party, formal or wedding. Saxbys offers a number of colouring techniques and can formulate a customised colour and create an exciting vibrant look that is exclusively yours . Relax and enjoy the professional atmosphere at Saxbys. We strive to use only the very best products and lastest styling and coloring techniques on what we say is our most valuable asset, the client ! SAXBYS SERVICES Ladies and Mens style cutting Design colouring Hair up and Blow waves Treatments Be sure check out our Packages and Promos! 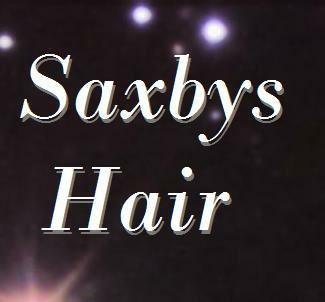 Please check us at: http://www.facebook.com/SaxbysHair.